Work muscles you never knew you had! Feel the slow burn by pushing your muscles to the point of fatigue. 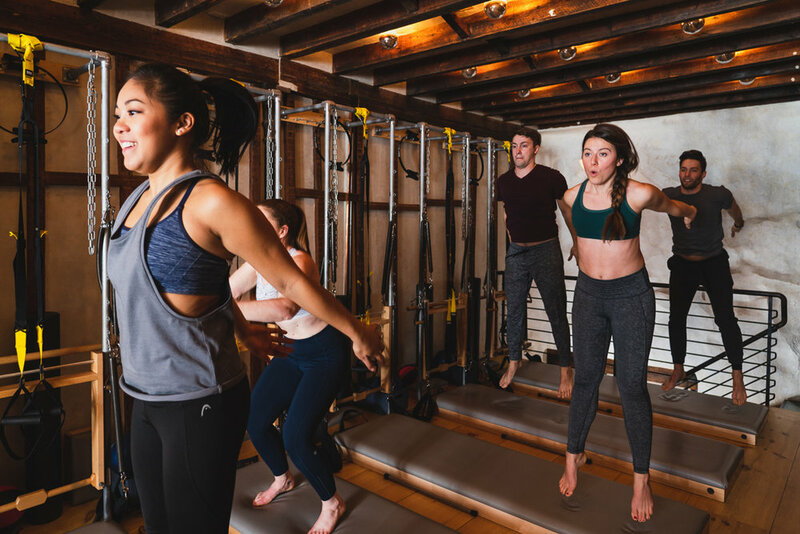 This class blends light weights, bodyweight resistance, TRX and more to make your muscles more defined but not without shaking along the way. Push yourself to the next level. This cardio-infused strength class keeps you moving and sweating from beginning to end. Mixing in plyometric movement, TRX, and more, youʼll get a unique and form-focused higher-intensity session that will leave you energized and wanting more. Our standard Pilates class helps you develop a long, lean body in a challenging workout. The resistance of the Tower adds intensity to a traditional Pilates routine, producing a sculpted body and strong core. A great complement to your HIIT, Crossfit, or even Yoga training.